Good News! In late March I learned my short story, The Seventh Dog, was awarded second place in the Idaho Magazine Adult Fiction Contest. Here is a photo of my author friend Karen Finnigan and me with the certificates we received from the magazine's publisher Kitty Fleischman. Karen's story, A Letter from Jazz, received honorable mention. Our stories will be published electronically by Idaho Magazine and will be available soon on their website. I grew up in Southern California and received BS and MS degrees in Engineering from the University of California at Berkeley. In an exciting three-decade technical career, I was involved in NASA’s space program and in nuclear energy and novel energy production research for the Energy Department. I traveled extensively throughout North America, Europe and Asia, presenting the results of my work and collaborating with other research institutions. I began writing as a teenager, covering high school sports for the local newspaper. I continued writing throughout my career, producing a number of technical papers, articles and reports. I recently decided to end my engineering career and write full time. Since then, I've produced two novels and started my third. I've also written several short stories, two of which were accepted by the Idaho Magazine. 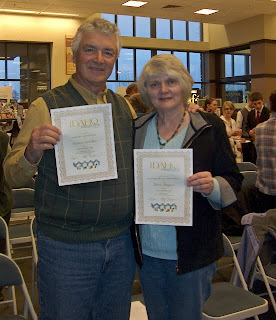 Another short story was recently awarded second place in the Idaho Magazine Fiction Writers Contest. I live with my family on the Snake River in Southeastern Idaho near Yellowstone Park and Jackson Hole.